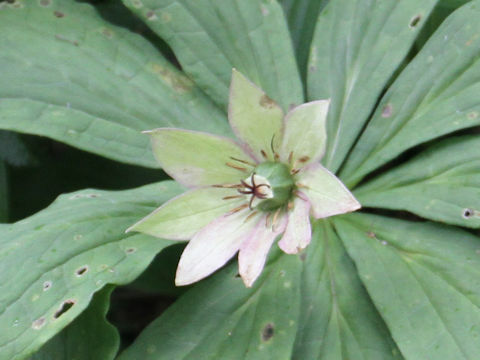 "Kinugasa-so" (Paris japonica) belongs to the Lilaceae (the Lily family). 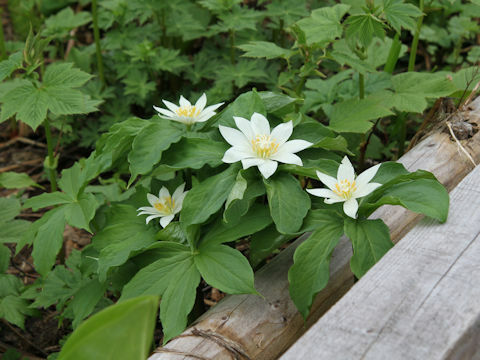 It is a perennial herb that is endemic to Japan, and distributed from the Japan Sea side of Honshu north to northern Kanto district and Tohoku district. 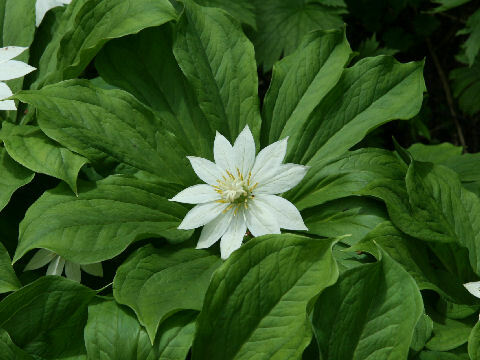 This herb grows in sub-alpine to alpine wet grasslands and open forests, and it can reach 30-80 cm in height. 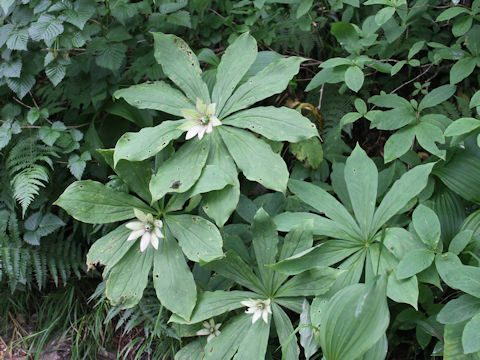 The leaves are ovate and 8-10 whorled atop of stems. 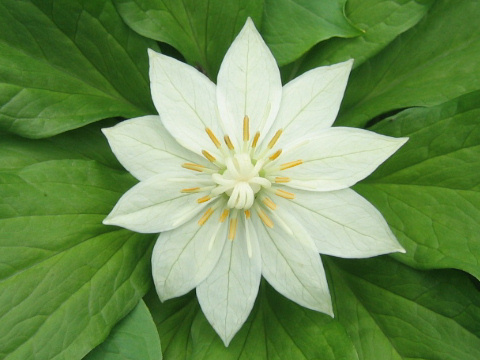 The white flowers bloom on the peduncles from July to August. 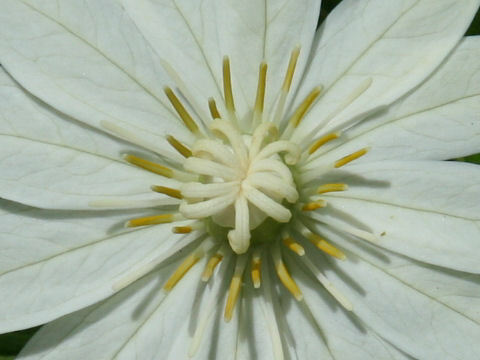 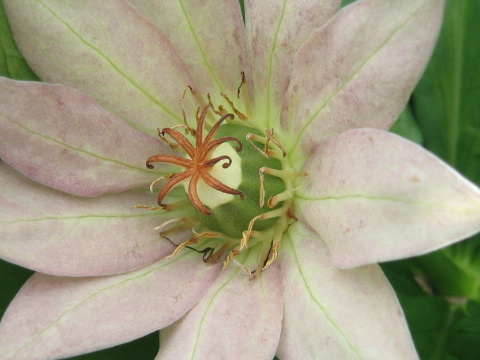 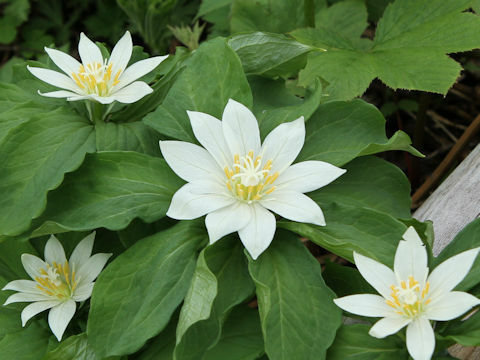 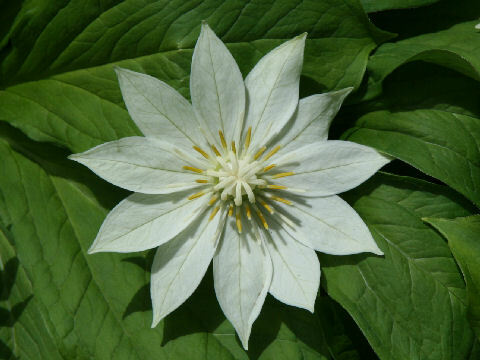 The flower has 7-9 white petals, tinged red later and turn green in the end.